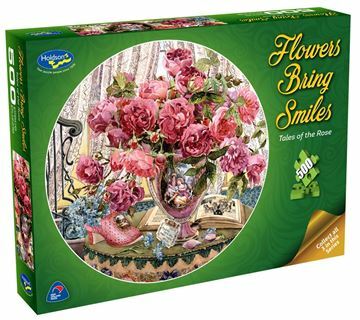 Collect all three Flowers Bring Smiles puzzles from this compelling 500pc circular Holdson series. Primarily a flower watercolours painter, artist Adelene Fletcher showcases the delicate nature of colour in all its vividness, subtlety and clarity. Titles include: Opera Invitation, Tales Of The Rose and Teatime Roses. 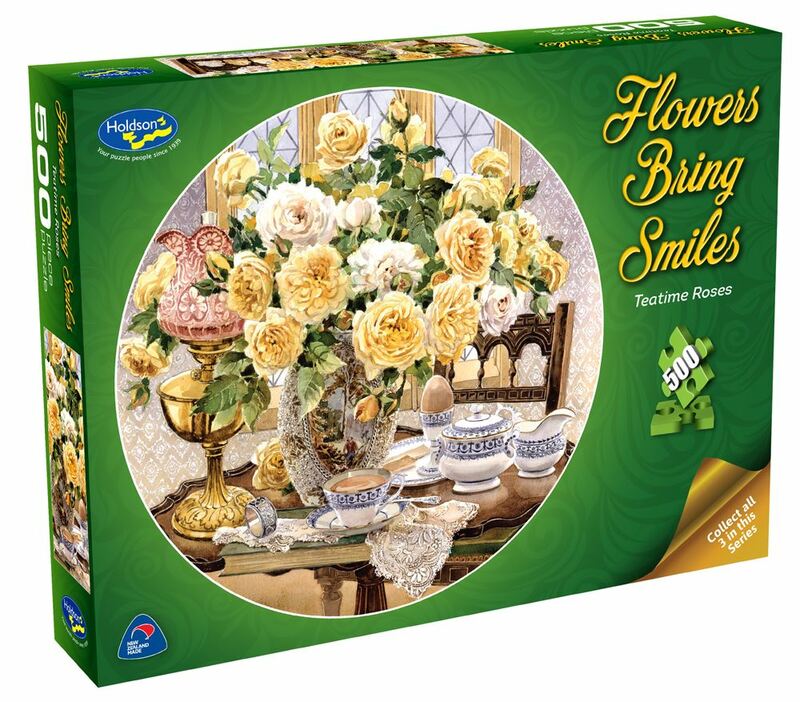 Each design sold separately. Collect all three designs. Age 8+ years. Made in New Zealand by Holdson. Approximate puzzle dimensions: 500mm circular. 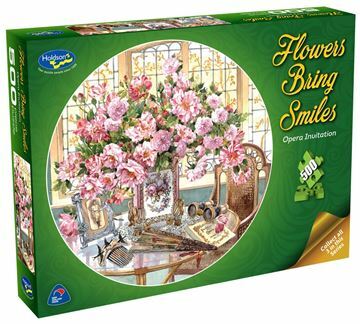 Box size: 270mm x 370mm.